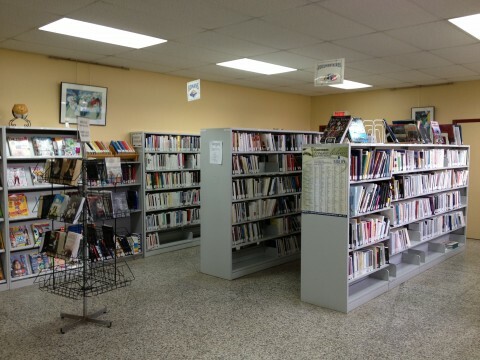 The Municipality of Brigham invites you to explore the municipal library located in the Town Hall at 118, avenue des Cèdres. The library offers two computers and wireless high-speed Internet access and a multifunction printer. The library is accessible to people with reduced mobility. More than 4000 books, reviews and other documents are available on site. An English section is also available. The Brigham Library is a member of the Réseau Biblio du Québec, Montérégie section. Its subscribers have access to more than 600,000 titles of all kinds via the “Inter Biblio” service, in both French and English. Membership is free for residents of Brigham. For eligible non-residents: please contact the Coordinator for more information. The duration of the loan is 3 weeks. Library users have access to a multifunction printer for printing, photocopying and scanning. In addition to being operated from the two computer in the library, you can operate this device from your laptop, your tablet, and even from your smartphone. A user guide is available on site. The Brigham Municipal Library was established in January 1992 and has benefited from sustained investments over the years. A volunteer committee has been in charge of the library and its management from the beginning. A group of volunteers meet each year to provide services to the public, to inform subscribers of new services, to answer questions and to assist them in their researches. The Biblio-Aidants program now offers 15 thematic workbooks free of charge . Network libraries now offer information and comfort to members of their community. Nearly 600 titles in the Biblio-Aidants Collection, including several books in digital format, are accessible through your municipal library or through the interlibrary loan service offered by your library. Located on the banks of the Yamaska ​​River, north of Cowansville and close to Bromont. Brigham is recognized today as an agricultural and touristic region where more than 2300 people live.